I went out to dinner with friends last night and took this photo while we were stopped at a red light in uptown Charlotte on the way to try out a new dessert spot (Amelie’s French Bakery in NoDa … why have I never been there before?). I don’t do many conversions to black & white, but I liked the feel of this one. And it totally makes me want to take more city shots and experiment with street photography! This entry was posted in Photo of the Week 2012 and tagged amelie's french bakery, black & white photography, charlotte, city, city photography, NoDa, photography, street photography, uptown on July 15, 2012 by Emily Gallimore. 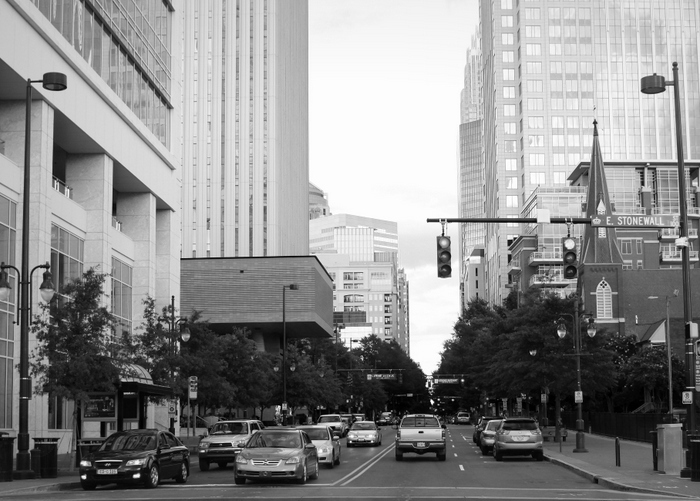 I went on a crazy fun photo adventure in uptown Charlotte, NC late Sunday afternoon with an awesome friend. We drove around in search of a good location for skyline photos, and I think we found a pretty decent one. 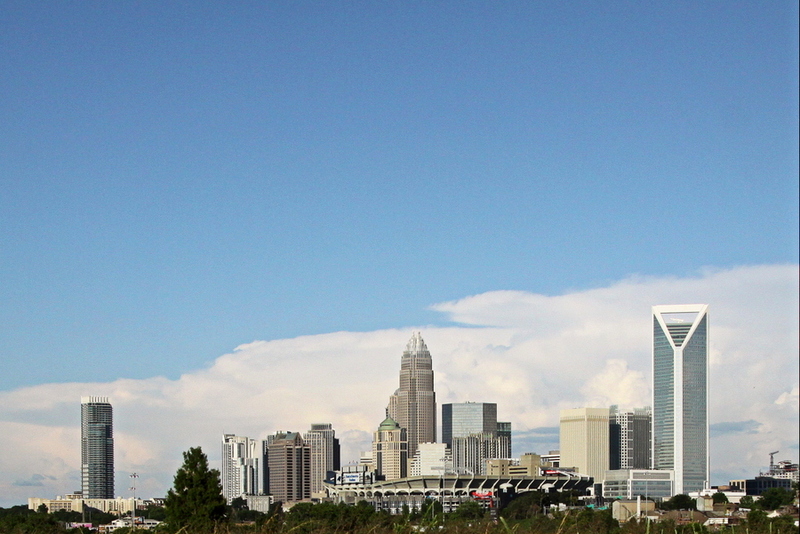 My city shots could use some technical improvement, but I love the Charlotte skyline and had a blast! This entry was posted in Photo of the Week 2012 and tagged adventure, charlotte, charlotte skyline, city, city photography, nc, photography, skyline, uptown on May 31, 2012 by Emily Gallimore.